University of Cincinnati soccer player John Manga has been selected All-Ohio for his 2014 season by the Ohio Collegiate Soccer Association. University of Cincinnati women’s soccer player Katy Couperus has been named first team All-Ohio for the 2014 season by the Ohio Collegiate Soccer Association. UC senior track and field athlete Frida Akerstrom was named the American Female Field Athlete of the Week. Junior shot put thrower, and Ohio native, Macklin Tudor smashed UC’s school record in the shot put on Friday. He led the Bearcats in 24 personal best performances and 10 performances that rank top-10 in UC records. Tudor recorded his record setting toss of 58’ 2.5” and won the event at the Akron Pole Vault Convention. He is now in the top-15 shot putters in the nation and holds Bearcat record in shot put and discus. Tudor also claimed 5th in the weight throw with a toss of 53’ 8.5”ranking 9th in school history. 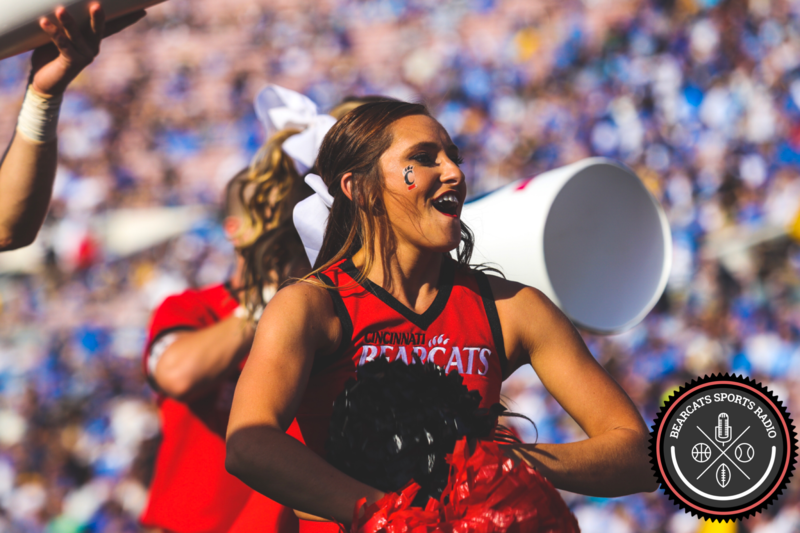 The women’s Bearcats have now rattled off two consecutive AAC wins, including beating Houston on January 7th and winning against UCF on January 10th. UC traveled to Houston and took the W in double OT, 76-73. The Bearcats were down by five with just 1:21 to play in the first overtime period, but came back and won. #35 Marley Hill was the star of the show with 28 points (12-of-19 shooting), 13 rebounds, and 2 blocks. #23 Jasmine Whitfield added another 24 points and was 10-of-11 from the free throw line. The Cats beat the UCF Knights 70-54 behind prowess of #3 freshman Ana Owens. She led the team in points (18), rebounds (9), and assists (4). #35 Marley Hill also added 16 points in the win. Cincinnati opened the game on an 11-0 run, and never looked back. UC leads the all-time series against UCF 4-0 after taking all three games last season. UC is now 4-1 in games when leading at the half. In all five of the Cats’ win this season, UC has scored at least 69 points. Bearcat freshman guard Ana Owens has now been named to the American Women’s Basketball Honor Roll for the fourth consecutive week. On the season, she is averaging 12.8 points, and 5 rebounds per game. She is known as a 3-ball sharpshooter at 48.6%, making 18 3’s so far this year. Two UC women’s basketball players were named to the AAC Weekly Honor Roll last week. Congratulations to Marley Hill and Ana Owens! This is Owens’ second-straight honor from the American. She led the team in offense with 21 points against Xavier in the narrow 72-71 loss to X. The freshman star made all four of her three-pointers, had four assists, and four rebounds. On the season, she leads the Cats in scoring (13.1), three-pointers (18) and three-point field goal percentage (54.5%). This is Hill’s first honor from the AAC. The freshman star nearly had a double-double against Xavier, with 17 points and nine rebounds. She also racked up three blocks. On the season, she leads the team in field goal percentage (45.2%) and rebounding (9.7). Hill is also second in scoring at 12.6, just behind Owens. We certainly are excited to watch these two players over the next three years in Clifton! UC head coach Mick Cronin has been under the weather for quite some time, including our time interviewing him before the San Diego State game. He underwent extensive medical testing last night, and an unruptured brain aneurysm was unfortunately discovered. Mick notified the team in person an hour before tipoff this morning that he would not be coaching due to doctor’s orders. He instead traveled home to rest. Knowing Mick, we are sure he was furiously yelling at the referees on TV from his bed. Mick’s best friend and associate head coach, Larry Davis, led the Bearcats in his absence. It is unknown how long Mick Cronin will be out. UC plays Wagner at home on Tuesday, December 23rd, and at NC State on Tuesday, November 30th. Our thoughts and prayers go out to the Cronin family, and we hope him a speedy and full recovery. As for the game, it was clear from the tipoff the Bearcats were without their emotional and rambunctious leader on the floor in Mick Cronin. VCU shot the 3-ball 48.4%, and from the field at 42.6%. They made 15 three-pointers. The Rams only attempted one free throw, but ran away with this one, 68-47. The home crowd advantage of 9,520 fans could not stop the Rams. The Cats won the battles for points in the paint, free throws attempted and made, second chance points, bench points, fast break points, blocks, and offensive and defensive rebounding. However, UC was simply killed by the 3, and only shot the ball from the field at 33.3%. Junior #2 Octavius Ellis led the Cats with 12 points, 7 rebounds, 3 blocks, and 2 steals. The VCU loss broke a 16-game winning streak for UC in regular season non-conference home games, with the last defeat on December 27, 2012, to New Mexico, 55-54. The growing pains of this young and energetic UC squad continue.